Gypsy O’Brien — Wandering No More! 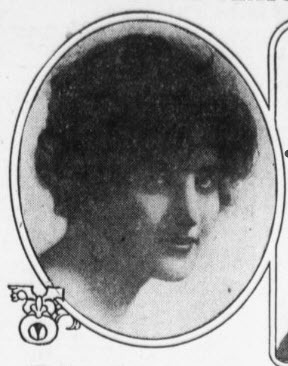 Somewhere along the way, Gypsy O’Brien, screen and stage actress, wandered from the spotlight and became lost to history. References offer no information about Gypsy’s life after the stage and screen. Like a gypsy, I got on the trail of history and followed her through the decades. Her story can now be told. She was born Nina Constance Shawe in Coonoor, India, in 1889, but grew up and was educated in England. When she became an actress in the theater, she took the name Gypsy O’Brien. In December 1914, Gypsy sailed as a member of a British theater troop from Liverpool to New York. Passenger manifest showing Gypsy sailing to the United States in 1914. 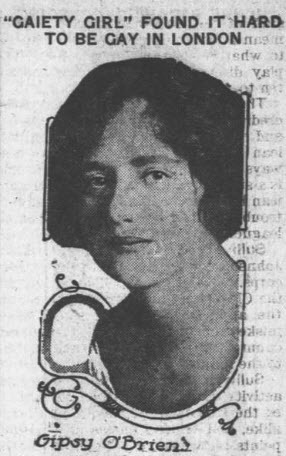 She appeared in To-Night’s the Night, a musical comedy that ran at Shubert’s Theatre from December 1914 into the spring of 1915. For the next two years, she worked steadily in musicals on the New York stage. 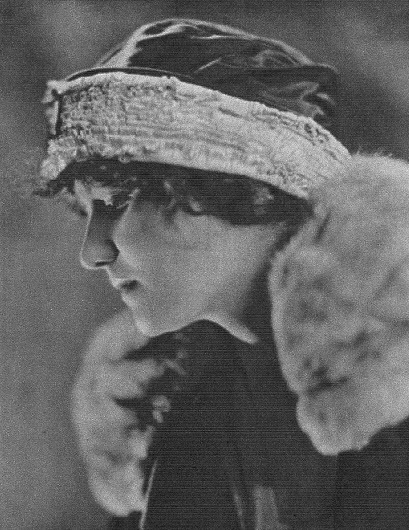 Gypsy entered films in 1916 with an Olga Petrova vehicle, The Soul Market (1916). Later that year, Gypsy appeared with Earle Williams in The Scarlet Runner, a 12-chapter series that related the adventures of Christopher Race (Williams) and his high-powered automobile, The Scarlet Runner. Her screen work was sparse through the 1910s. In 1920, she was given the lead with Lionel Barrymore in The Master Mind (1920), a First National melodrama. In the film, an ambitious district attorney sends an innocent man to the electric chair for a murder he didn’t commit. Henry (Barrymore), the man’s brother, is hellbent on revenge and becomes an underworld boss. In his dealings, he encounters Maggie (Gypsy), a woman adored by the D.A. When he discovers that Maggie has a past, he sends her abroad to be educated, returns her to the States, where she marries the D.A. When the D.A. is running for governor, Henry, with revenge still in his heart, exposes Maggie’s past and threatens to pull her skeletons from the closet. Just before the D.A. announces his resignation, however, Henry has a change of heart and leaves the couple to their happiness and plans. Gypsy’s remaining film roles were small. She was with Pauline Starke in Salvation Nell (1921) and The Young Diana (1922) with Marion Davies. 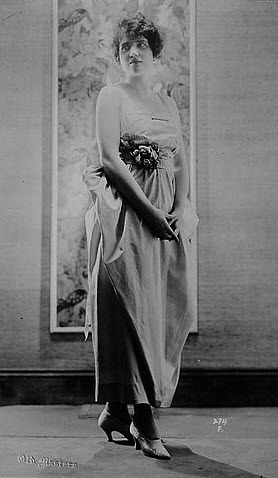 She spent two months with her family in England in the summer of 1922. 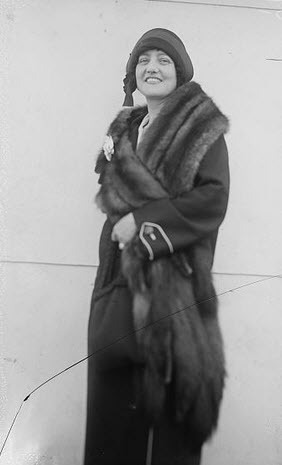 After working again with Davies in Little Old New York (1923), Gypsy devoted more time to her stage work. While touring in Is Zat So? through California in the mid-1920s, Gypsy met George Blankenhorn, a steel plant engineer. They were married in 1928. Gypsy retired from show business. The Blankenhorns lived quietly in Pasadena. George died in December 1956. Gypsy passed away on September 2, 1975. Gypsy’s only living relative, Mrs. Lillian Dewdney of London, England, announced her death.